The Roybal Corporation prepared an employee housing development plan and environmental assessment for the Mammoth area of Yellowstone National Park, WY. 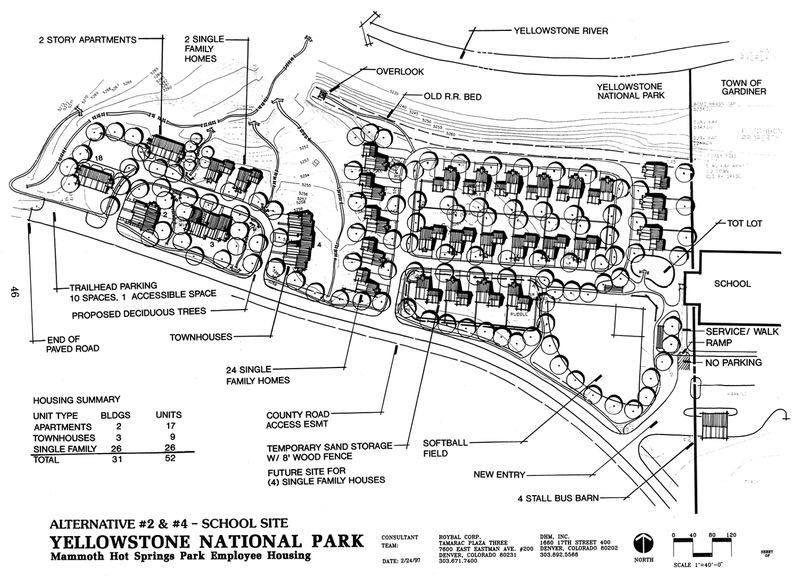 The housing development plan incorporated a housing market analysis, a housing needs analysis, identification of potential building sites within the park, and a proposal for development of additional multi-family and single family dwellings which included cost estimates for development of the additional site. The environmental assessment included the identification of natural, cultural and socioeconomic resources, and evaluated the potential impacts from additional housing development within the park. The environment and cultural consequences of development in each of four selected areas of the park were discussed in depth within the environmental assessments.